How long have you known Jenny? Almost all my life. We grew up together. 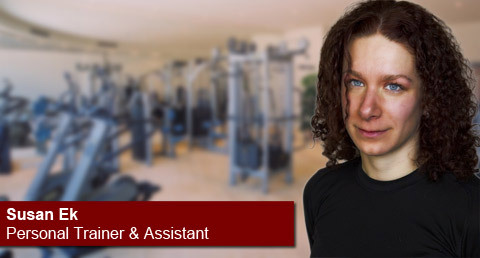 You are her personal trainer and assistant? According to media you were more than that at one point, is that correct? Hahaha, no that’s not true. It was some gossip magazine that came up with that. Jenny, or rather Bjurman…. …yes, he also acts as her unofficial manager, but Jenny hated that word, so we just called him her attorney instead. Anyway, he thought it would be good for business if we didn’t correct them. Do you know if Jenny was involved with anyone right now? Jenny used to have one guy after the other, but she changed in the last few years and started talking about settling down. Maybe have children…the last few weeks there was a lot of talk about weddings. I asked if she was seeing someone, but she avoided the question. So I assumed she wanted to keep the relationship a secret. When did you last see Jenny alive? On the afternoon the day she died. I was at her place until about 6pm. Is it correct that it was you who took the picture of Jenny on the phone the same day as she was killed? It was stupid. I wish I hadn’t done it. Yes, that’s not a secret. I ran a chain of gyms and when it went under I was left with large debts. Did you know that Jenny would become a full member of the Supertologu Church in a few months? Did you know that Jenny left you a rather substantial amount of money to you in her will? Yes, she told me a few years ago. Did you also know that Jenny would have to leave all of her assets to the church once she had become a full member? It seems like you would know that, which would give you a very good motive for murder. Where were you the night between February 20 and 21? I was home by myself sleeping.